ABILITY POWER: +25% dream depth. Ghostopus has a firm grasp on the concept of sleep. With its highly huggable tentacles a ghostopus can hold on to a dream longer than anyone else – imaginary or otherwise. 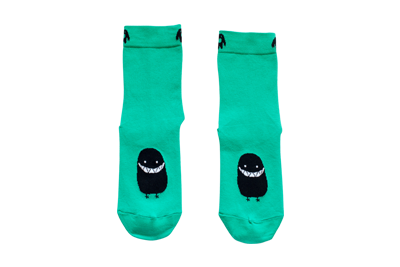 Ööloom socks use ancient animal magic to give your feet very mild superpowers. 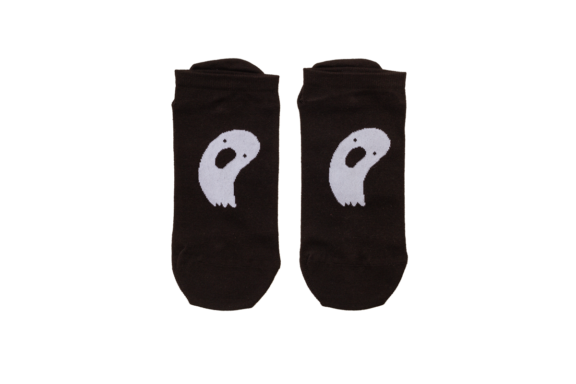 Wear them to improve your sleeping, sneaking or pillow-fighting. Each pair comes with a different power-up, so you can customise the abilities to your specific needs. Whether it’s optimising for deeper dreams or adding extra protection against leg-grabbing monsters, commonly found under most beds, as well as some larger sofas. 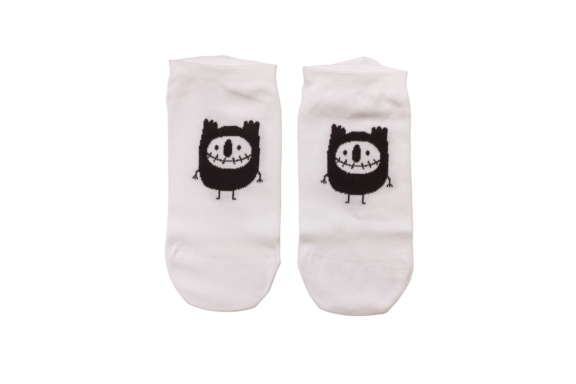 Ööloom socks work hard for you, so they may get a little dirty in time. We suggest giving them a bath in a common washing machine. Much like you would with any regular sock. Unlike the sleeping masks, they are not fussy about the washing conditions.